TOFFOLI IN PLAY FOR KINGS? The Los Angeles Kings are scouring the market, looking for help up front in an attempt to shake up their roster. After another poor performance Tuesday night against Toronto, losing 5-1 at home to the Maple Leafs, Kings GM Rob Blake and management appear to be significantly frustrated with the team’s play this season. As TFP reported earlier this month, the Kings had already discussed left wing Tanner Pearson and defenceman Jake Muzzin in trade talks with other clubs, most notably the Toronto Maple Leafs and Pittsburgh Penguins. Earlier today, the Kings pulled the trigger on one deal, trading Pearson to the Pittsburgh Penguins for left wing Carl Hagelin. However, Pearson and Muzzin weren’t the only players up for grabs. According to multiple sources close to the organization, the Kings are also exploring the market on right wing Tyler Toffoli, among others. Toffoli, 26, has one-year left on his contract after this season and comes with a $4.6 million salary cap hit. 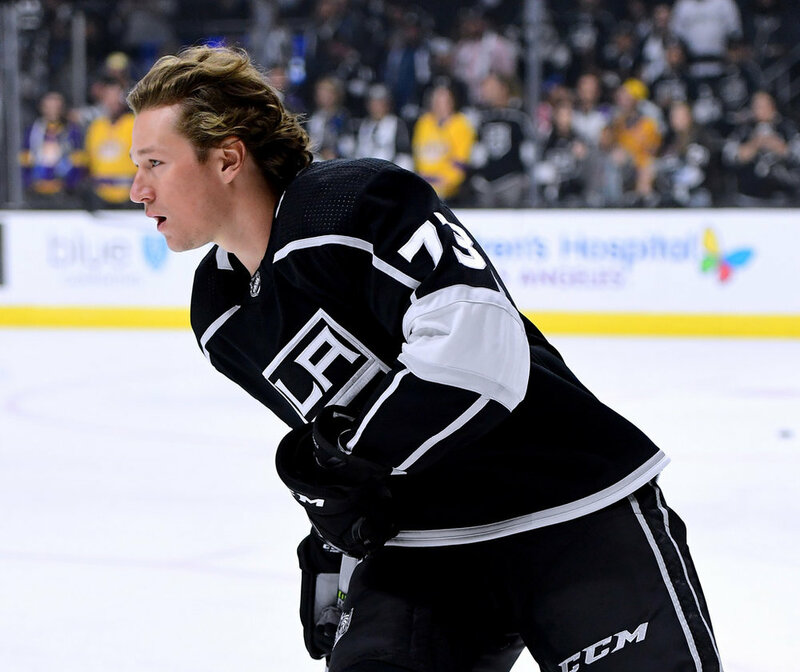 It’s unclear whom the Kings are specifically speaking with when it comes to Toffoli’s availability, but one league source told TFP last season the Kings had spoken to the Montreal Canadiens about him when they were inquiring about Max Pacioretty. The former 30-goal scorer appears to be trending towards a being 20-goal scorer, and he’s currently on pace for just 19 goals this season. There is some belief trade talks with the Maple Leafs expand, perhaps to blockbuster status, and include Toffoli, while discussions with other clubs may get kicked into high-gear. Blake is hoping to pull the trigger on at least one move significant move, having already made a change behind the bench, naming Willie Desjardin interim head coach, replacing John Stevens, and as time ticks away, it may already be too late to salvage Los Angeles’ season.